The Enterprise proceeds to Memory Alpha, the Federation’s new informative archive station in deep space. Aboard the Enterprise is Lt. Mira Romaine (Jan Shutan), on her first space mission. Romaine’s job is to transfer information from the ship to Memory Alpha, but has also become involved in a love affair with Scotty (James Doohan). 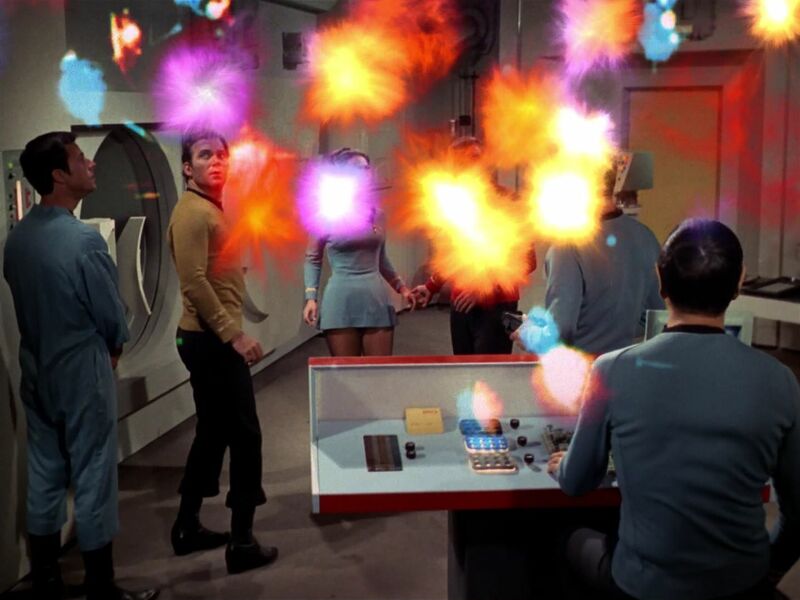 On the way to Memory Alpha, the Enterprise encounters a strange storm that, when it strikes the ship, seems to impact different aspects of the humanoid brain. Mira takes the worst of the damage, and seems to start experiencing thoughts and ideas that are not her own. The mysterious storm attacks Memory Alpha in the same way, destroying much of the archive. Meanwhile, Mira seems increasingly to be possessed by the so-called storm. In fact, the storm is a conglomeration of life-forms from the long-destroyed world of Zetar. When the planet was destroyed, some citizens survived, but as non-corporeal energy. They have sought, for generations, to find a new humanoid host where they can live out some semblance of a normal life. The lights of Zetar believe Mira is the perfect host for such a purpose, but Captain Kirk (William Shatner), Scotty (James Doohan) and the others fight for her life and freedom, attempting to free Mira from her possession by using a pressure chamber in sick bay. 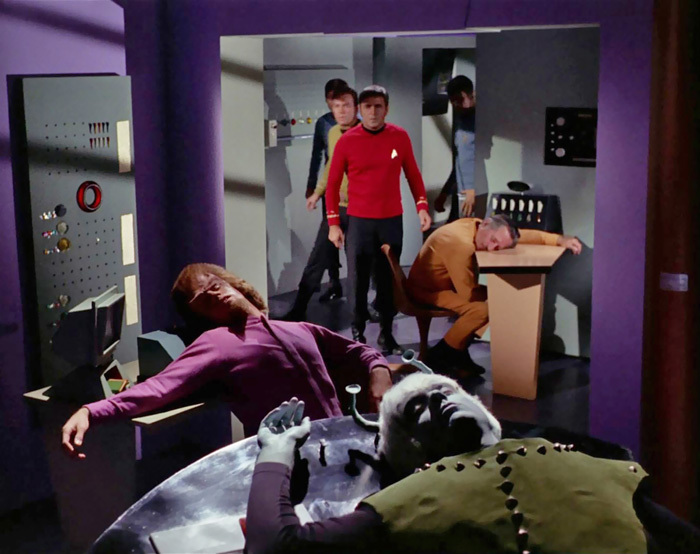 In a very strange way, “The Lights of Zetar” may be one of the most influential episodes of the original Star Trek (1966-1969). Those feelings of passion and respect are completely reciprocated, and the entire command staff basically obsesses on this “Mary Sue” (Mira Romaine) as some kind of alien experience occurs involving her. She holds the key to communication, or resolving the conflict. This “The Lights of Zetar” premise is a probable foundation for literally hundreds of fanzine stories from the 1970’s. It’s easy to understand why. The focal point, or lead character is a competent, young, attractive Starfleet officer. 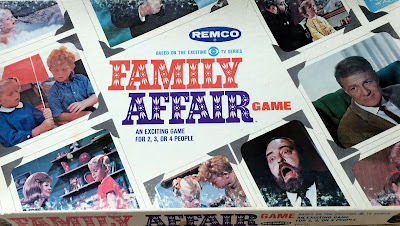 There is a strong fantasy or wish-fulfillment element (the love affair with an admired series character), both in terms of romance and narcissism. 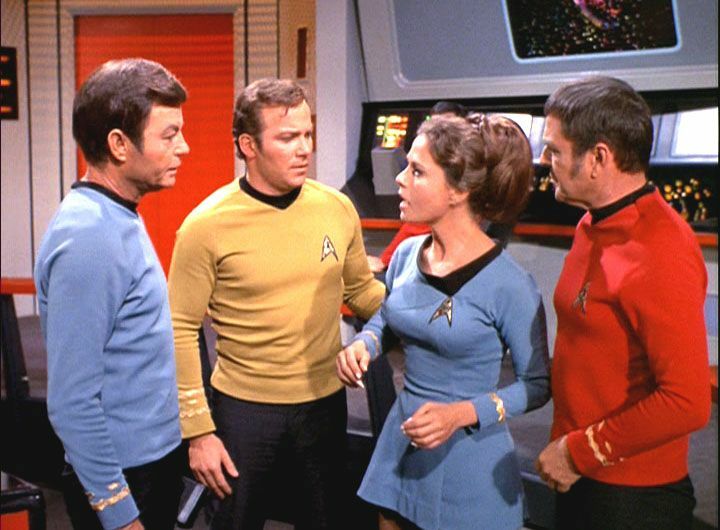 Don’t you just know that you would fit right in with Kirk, Bones, Spock, and Scotty if they just met you and got a whiff of your beauty, wisdom, humor and intelligence? So "The Lights of Zetar" launched a thousand fan fantasies. 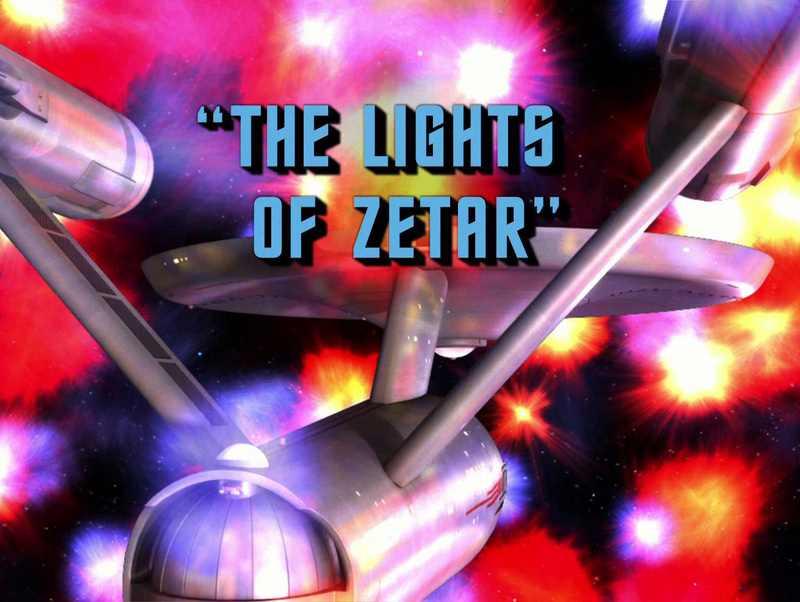 In terms of the actual episode itself, “The Lights of Zetar” features a fine premise -- non-corporeal beings possessing humans -- but is less-than-satisfactory for a few key reasons. First and foremost, Mira Romaine is lovely, but not very likable. Perhaps we simply accept McCoy’s crankiness or sharp edges because he’s a regular character, and we get to see other sides of his persona. 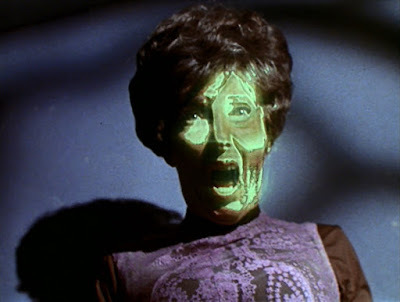 Mira Romaine, in “The Lights of Zetar” is vaulted to a position of incredible importance in this episode, but I don’t think she is conceived or performed in a way that is three dimensional or particularly appealing. I don't believe it an exaggeration to write that Scotty and Mira have no chemistry whatsoever. Scotty is paternal and doting, Mira is childish and clingy in return. There doesn’t seem to be a legitimate physical or intellectual attraction between the characters. I deeply dislike Scotty “love stories” because they always seem out-of-character for the engineer. When he falls in love, Scotty stops being Scotty: a brilliant, high-strung, fast-talking technical genius. He becomes instead this adoring, blind puppy-dog person. I don’t think the approach serves the character well, or fits well with what we know of Scotty. I see him falling in love with someone more like him: an excitable, mile-a-minute engineer. I understand lust and sexual desire, but Doohan and Shutan don’t play that angle. They don’t seem hot for each other in that way. It’s more like they’ve contracted an emotional disease called “love” which makes Scotty act out of character. Also, too much of the episode sees the top crew obsessing paternally (and condescendingly) on Mira and her well being. Mira -- whatever her flaws, temperamentally -- is an independent woman, and not “the girl” everyone speaks of so condescendingly. I also find it disturbing that the Memory Alpha situation is handed in such an off-handed manner. Memory Alpha, like Mira Romaine herself, is never seen of or heard of again in the original series after this episode. So, is the archive’s information recovered? Is the devastating loss to the galaxy permanent? The survival of the Federation’s greatest historical tool should be a primary focus of the episode. But again, “The Lights of Zetar” is really the archetypal Mary Sue story. Everything comes down to our guest character, Mira, and her (unlikely but total) importance to the main crew. Before she is shuffled off, and totally forgotten. By next week. In terms of the alien threat, I find the corporate life form of Zetar fascinating. 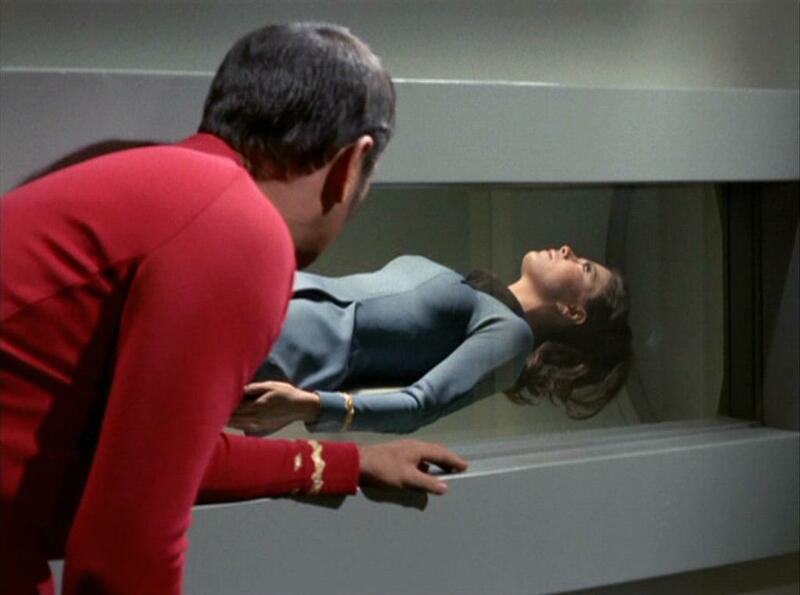 Here, Kirk argues for Mira’s inalienable right to control her own body and mind. The Zetarians want to use her, possess her, and control her, but Mira must be free to choose how she wants to live. I wonder if the idea of a group of entities forcibly living as one inside an unwilling host is actually Cold War commentary on Communism, the idea of the state forcing its collective will upon individuals. I don’t have any hate in my heart for “The Lights of Zetar,” and there are solid concepts at work in the episode. Yet overall, the episode feels less compelling than it should be, perhaps because the Scotty-Mira relationship is so lacking in energy and passion. It just seems wrong, and not true to the Scotty we know and love. If I were creating a worst of TOS list, this would be at the top. The dialogue is just awful, particularly between Mira and Dr. McCoy. It reminds me of some of the exchanges in Ed Wood movies where people are being snarky with each other for no reason other than to fill time. And I agree that Scotty love stories don't work. If he had been on Next Gen, he would've been given a tech nerd love interest as you described. That wasn't in the cards in the 60s. A prime example of how Frieberger didn't have a handle on the nuances of Star Trek, just as he didn't understand Space:1999 with episodes like A Matter of Balance. John, for a long minute there, I was afraid you'd avoid the heart of the matter in your review, but you slid into home plate near the end: "Lights of Zetar" isn't just the inspiration for crappy Mary Sue/Gary Stu fanfic stories, it IS a crappy Mary Sue fanfic story! That Mira has a brittle personality suggests an attempt was made to fix that problem, but rather than solve her Mary Sueness it merely left a flagrant Mary Sue with an inexplicably harsh edge grafted on. Which is why this episode really doesn't make an impact, although there's nearly a very good plot in there somewhere. The argument regarding individuality is the best part of the story but too much is left unexamined in favor of that chemistry-free love story with Scotty. I suspect it was thought this would induce the audience to invest in Mira's fate but it certainly doesn't work. Core problem: nobody can really relate to Mary Sue/Gary Stu precisely because they are both unreal characters and everything becomes about them, which of course is why they are obvious Marys/Garys. Although such characters supposedly stand in for the author in such stories, Marys and Garys really aren't representative of anyone--including the audience, who can't picture themselves in those shoes and have a hard time caring about them. Contrast Mira with, say, Helen Noel in "Dagger of the Mind" or Marlena in "Mirror Mirror", and we see that we honestly sympathize, empathize and invest in what happens to Helen and Marlena--and yet those episodes are not really about Helen or Marlena. One can speculate on how good "Lights of Zetar" might have been if Mira were an actual character, the romance angle had been dropped, and the dropped plot points picked up and carried. Oh, well. Third-rate episode with some very strong scenes making it almost a second-rate episode. At least it has some cool optical effects -- not the crappy CGI as sampled in the above pics. Something else the episode has: atmosphere. You hit the nail on the head with this one. Not much to recommend. My brother used to make me laugh by doing his impression of the Memory Alpha woman (pictured in your review) and all of her crazy faces. This is also apparently Lt. Kyle's only Third Season appearance, so it's got that going for it. Also, to answer your question about Memory Alpha, the Zetarans apparently burned out the computer's core and all of the knowledge stored there was lost. The Zetarans were kind of jerks, weren't they? As such, nobody feels bad when they are destroyed at the end of the show. We never see them or Mira Romaine (no relation to Kirk's dinner salad) again. "When he falls in love, Scotty stops being Scotty: a brilliant, high-strung, fast-talking technical genius. He becomes instead this adoring, blind puppy-dog person. " You may not have seen as many technical geniuses as I have. They generally become this way when they fall in love. It's not pretty, but it's pretty accurate. Doesn't make for good TV, though. Much better was LaForge and whatever brunette assistant he had for about 3 episodes. Sorry, but I respectfully disagree with the comments I have read here. I have often said that TLOZ may not be Star Trek at its best, but by no means is it Star Trek at its worst. There are a number of other candidates for worst episode! While there are technical flaws in the writing, I think overall it's a beautiful and touching love story for my favorite TOS character, and I see a great deal of chemistry between Scotty and Mira which is appropriate given the age and maturity of the characters. They are not teenagers, and we should not expect them to act as such. That being said, they are also not too old to have very intense emotional and sexual feelings for one another. Just because we don't see them tumbling into bed together doesn't mean those feelings aren't very much present. Men and women of differing ages have been falling in love all throughout history. I invite you to visit my blog http://defendinglightsofzetar.blogspot.com to view the story from my unique perspective. 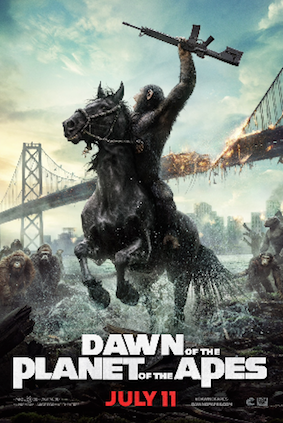 A careful examination of the facts reveals that Mira Romaine does not fit the definition of a Mary Sue character. In my opinion, she is the perfect woman for Montgomery Scott. I respect that not everyone cares for this episode, but I hope you will grant others the right to appreciate it on its own merits. Linda, I love that you are a defender of the episode, and bring a different viewpoint to an understanding of it. Bravo!